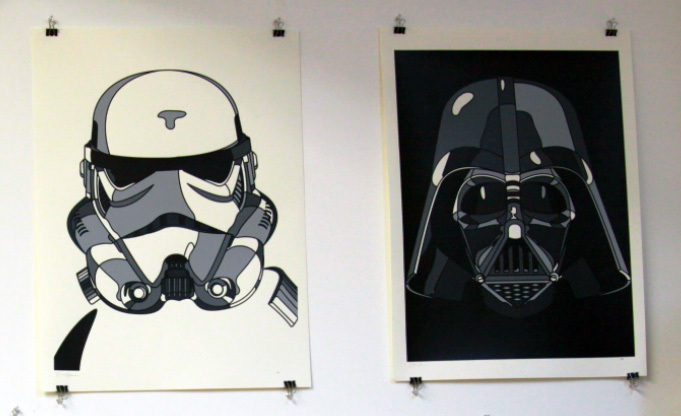 While we were at the Art Asylum Boston STAR WARS art show which featured art by artists like FAKE, KAWS, RYCA and even Abztract featured artists Arkiv and Shai Dahan we found out that Art Asylum Boston had these signed/numbered limited edition prints made by talented artist David Flores. We have been digging the work from Flores for a while now, so we had to make sure we got a couple of his prints for our studio. Image via Something.Ill (we couldn't get a photo of ours yet since it is getting framed at the moment).